Dr. Rumer is one of the few female board-certified plastic and reconstructive surgeons in the Philadelphia tri-state area and is a Fellow of the American College of Osteopathic Surgeons. Dr. Rumer is the founder and director of the Hahnemann University Hospital Transgender Surgery Program and the nation's first-of-its-kind Gender Affirming Surgical Fellowship. She is also a member of the World Professional Association for Transgender Health (WPATH). Dr. Rumer is well-recognized and well-versed in transgender health, with an extensive background that includes both surgical collaboration and training abroad with internationally-recognized experts. She is actively involved in clinical research and the development of scholarly articles. Dr. Rumer has been performing gender affirming surgeries for over eleven years and she now performs over 450 surgeries annually. 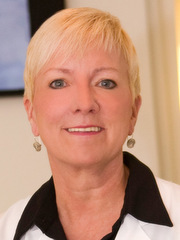 She is an in-network provider with most national insurers and with Pennsylvania and Connecticut Medicaid. If she is not in-network, she will work with any insurer willing to work with her.